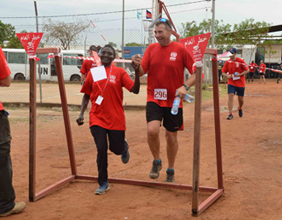 In combination with various mine action partners, celebratory events took place in the capital; Juba. 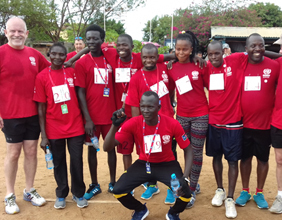 In the early morning of April 4th, Juba was awoken with some sprightly runners, 15 of them representing TDI, all having committed to a 10km “run for fun.” Despite promoting awareness of mine action activities, the run was also aimed at raising funds for 10 local girls’ schools in Juba. 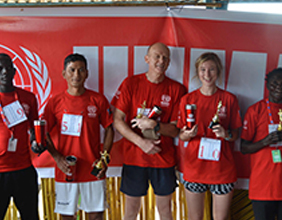 All of our athletes did us proud with TDI winning the overall first prize for fastest male and fastest over 50 female. 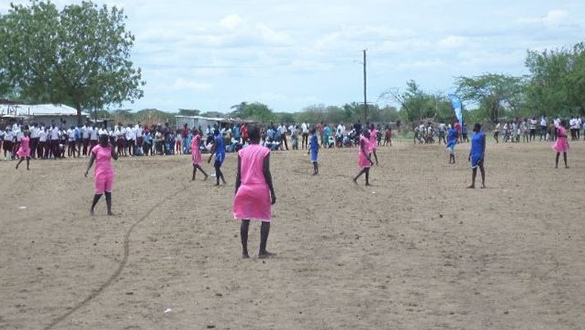 This year, Kapoeta hosted the bulk of TDI’s efforts for Mine Awareness Day; another area of South Sudan riddled with landmines and explosive remnants of war (ERW) as a result of internal conflict. Despite a bit of rain, TDI coordinated, planned and delivered a successful day of events for those who came. The town’s mayor, government officials, national security members, media personnel and local chiefs all attended the day’s celebrations. 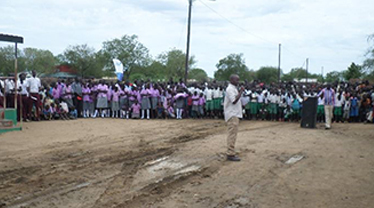 School head teachers and students were also invited, as children are at a higher risk of being exposed to landmines and ERW. 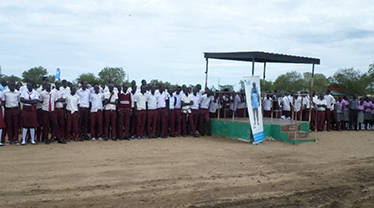 Speeches were presented by the government officials while demonstrations were given by TDI personnel. 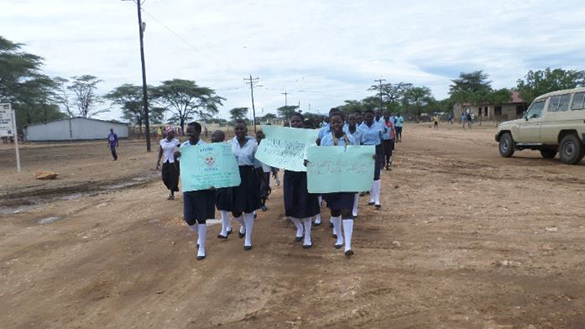 TDI consistently tries to adopts an interactive approach to raising awareness of landmines and ERW thus, school children held group marches with signs they had made while friendly games of football were played throughout the day. 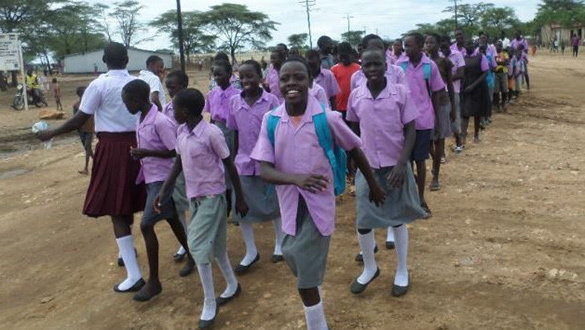 Although Mine Awareness Day is focused on educating the local populace about the threat of landmines, TDI attempts to implement a hands-on approach each year ensuring that the locals and school children are learning while creating a memorable experience. 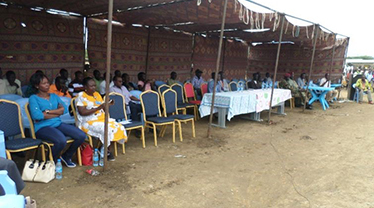 At the close of the day’s events, TDI was thanked by government officials for the clearance that has been done of the area so far. The clearance conducted by mine action organisations allows towns to expand and the exposed land to be utilised for commercial and personal use. 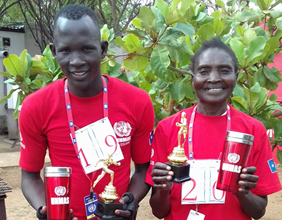 With another Mine Awareness Day celebrated, TDI is very proud to raise awareness of the threat of landmines and ERW to civilians and innocent children in the areas we operate in – we remain committed to clearing the way!